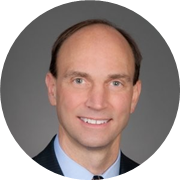 John Mansfield is a Senior Vice President in Fidelity Investments’ Advanced Process Solutions group. His organization provides the technology, tools and techniques that enable Fidelity and its clients’ to achieve operational excellence. Using a curated library of process re-engineering tools and methodologies, John and his team evaluate a business unit’s operations and provide actionable solutions for measurable improvement. Over the last 10 years at Fidelity, John has helped the investment management as well as the distribution businesses at Fidelity run more efficiently and effectively while delivering a frictionless, end-to-end client service experience. John has been in the field of operational excellence for over 25 years. Prior to Fidelity, John focused on operations improvement at Boston Scientific, led the Center for Business Excellence at EMC, consulted at McKinsey and worked at John Deere. John has a MS and Ph.D. in mechanical engineering from MIT where he completed dissertations related to robotics, prosthetics and artificial intelligence. · What factors are important to create change; how can you assess those factors? · How can you influence others that you cannot control? Is it worth it? · What tactics can you use to build trust and to strengthen a relationship? · What should you be aware of that may compete or weaken your abilities to influence?